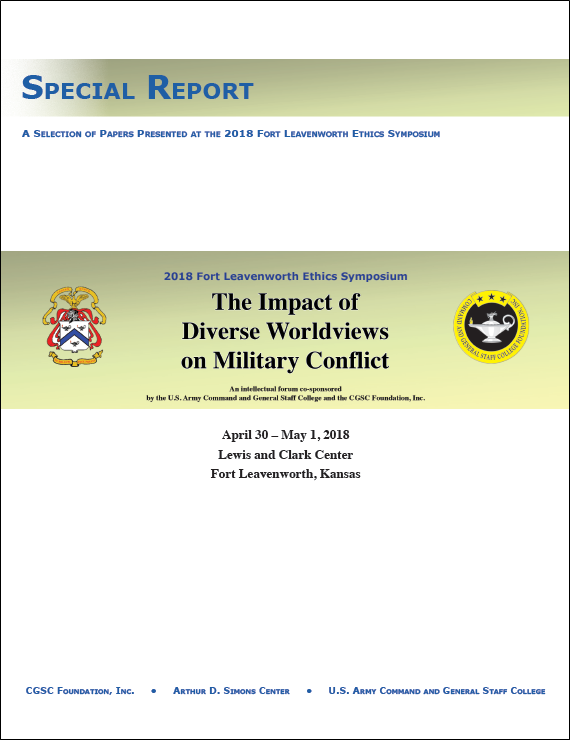 The 2018 Fort Leavenworth Ethics Symposium was conducted April 30-May 1, 2018, with the theme of “The Impact of Diverse Worldviews on Military Conflict.” The symposium included a variety of guest speakers, panel discussions, and paper presentations. 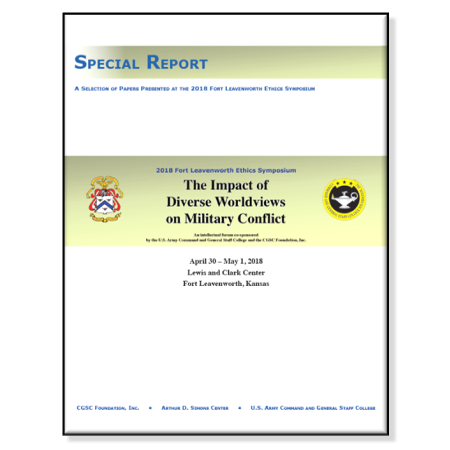 Over thirty papers were accepted for presentation at the symposium. This publication is a collection of nineteen of those papers, published as largely as submitted. by Prisco R. Hernandez, Ph.D.
Ethics of Fiscal Responsibility in Overseas Contingency Operations Funding: Appropriate or Mismanagement?